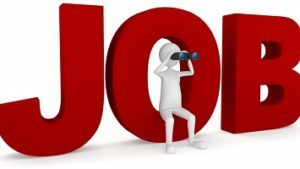 Customs Bhubaneswar Recruitment 2018: The officers of Commissionerate of Customs (Preventive), Bhubaneswar ready to hire talented and capable aspirants to fill up 21 Engineer Mate, Senior Deck Hand, Sukhani, Trade Man, Seaman, Greaser, Tindal vacancies. The job searchers who want to search for a job in Commissionerate of Customs (Preventive), Bhubaneswar those can apply for these posts on before 28th February 2018 is the last date for submitting the application form. Before applying for these posts, applicants need to check eligibility criteria like Education Qualification, Age Limit, Age Relaxation, Selection Process, Application Fee, Salary Details, etc mentioned in the Customs Bhubaneswar Recruitment 2018 Notification pdf file. Without eligibility criteria, the officers of Commissionerate of Customs (Preventive), Bhubaneswar don’t accept application forms from the contenders. So applicants first check the official Customs Bhubaneswar Recruitment 2018 Notification and then apply for the jobs. The latest information about Customs Bhubaneswar Recruitment 2018 Notification is available in this article in a clear manner. Contenders can check this article until the end and capture entire details about Customs Bhubaneswar Recruitment 2018 from this post. This is the right time for job seekers who want to settle their life in Central Government Sector because the officers of Commissionerate of Customs (Preventive), Bhubaneswar had issued Customs Bhubaneswar Recruitment 2018 Notification. So candidates don’t lose this opportunity. Applicants can utilize this chance and apply for Engineer Mate, Senior Deck Hand, Sukhani, Trade Man, Seaman, Greaser, Tindal posts before the last date that is 28th February 2018. Education qualification is different for all vacancies. The details about education qualification are given below section in a clear manner. So applicants go through the complete article and grasp entire information about the Customs Bhubaneswar Recruitment 2018 Notification from this post. Contenders who are ready to apply for Engineer Mate, Senior Deck Hand, Sukhani, Trade Man, Seaman, Greaser, Tindal posts those don’t pay Application Fee. So participants can check remaining details about eligibility criteria provided in this article or the official Customs Bhubaneswar Recruitment 2018 Notification which is available in this post or the official web portal of the Commissionerate of Customs (Preventive), Bhubaneswar. The Age Limit also vary for all the vacancies and as per rules of Commissionerate of Customs (Preventive), Bhubaneswar the age relaxation applicable for the aspirants. So aspirants briefly check this article or Customs Bhubaneswar Recruitment 2018 Notification for knowing the more information. After knowing details about Customs Bhubaneswar Recruitment 2018 Notification, aspirants can submit their application forms before due date 28th February 2018. Aspirants can check details about Customs Bhubaneswar Recruitment 2018 Notification on this page. For the convenience of candidates, we had provided Customs Bhubaneswar Recruitment 2018 Notification link is provided in this article at the end of the page. So aspirants can check the details about the Recruitment Notification and apply for the Engineer Mate, Senior Deck Hand, Sukhani, Trade Man, Seaman, Greaser, Tindal vacancies on or before the last date through offline mode. The Application form also attached to the Customs Bhubaneswar Recruitment 2018 Notification pdf file. So aspirants need to download the Recruitment notification and fill the application form and post the application form to the exact postal address of the Commissionerate of Customs (Preventive), Bhubaneswar which is available at the end of the page. Contenders stay tuned to the official web portal of the Commissionerate of Customs (Preventive), Bhubaneswar or our web page Sarkari Recruitment for knowing the more details about Customs Bhubaneswar Recruitment 2018 Notification. Engineer Mate: Holder of Engine Driver of Fishing Vessel Certificate, issued by Marine Mercantile Department along with X (Tenth) Class or Equivalent and 5 (five) years of sea-experience. Senior Deck Hand: Eight Standard Pass along with 5 Years service on a seagoing vessel with 2 years experience in Helmsman & Seamanship work. Sukhani: Eight Standard Pass along with 7 Years service on a seagoing vessel with 2 years experience in independent handling of mechanized craft fitted with auxiliary sails. Seaman: X (Tenth) Standard Pass or equivalent along 3 Years service on a seagoing Mechanized vessel with 2 years experience in Helmsman & Seamanship work. Greaser: X (Tenth) Standard Pass or equivalent along with 3 Years service on a seagoing Mechanized vessel on main and auxiliary machinery maintenance. Tindal: X Standard Pass or equivalent along with 10 years service on a seagoing vessel with five years experience in the independent handling of mechanized craft fitted with the auxiliary. Aspirants who are applying for Engineer Mate, Senior Deck Hand, Sukhani posts those having 18 to 30 years Age Limit and who are applying for Trade Man, Seaman, Greaser, Tindal posts those having 18 to 25 years Age Limit. The Age Relaxation details are clearly mentioned in the official notification. Now, applicants visit Commissionerate of Customs (Preventive), Bhubaneswar official web portal @ www.cbec.gov.in. Search for the Customs Bhubaneswar Recruitment 2018 Notification on the home page. After finding the Notification link, aspirants can check the details on the notification link and download the pdf file. If you are eligible for that job then apply for any one of the posts by filling below application form and post the application form to the below postal address. The above information is very helpful to the applicants who are searching for the Central Government Jobs. Aspirants who want to know more details about the Result after completion of the Written Exam those stay connected with Sarkari Result on our web portal or the official web page of the Commissionerate of Customs (Preventive), Bhubaneswar.